In a brilliant example of carefully developed partnerships between all stakeholders across a wide spectrum of the waste, recycling, housing association -and education disciplines, Anthea Rossouw and Associates (ARA-UK) have pioneered a project which has lead to the diversion of significant volumes of waste from landfill. Placing residents living in flats and multiple-occupancy developments, referred to as “hard to reach communities”, at the centre of activities,“Waste is Mine its Your”, evolves around improving the quantity and quality of dry recycling; composting food -and garden waste on site. The project also pioneers initiatives which closes the recycling loop: creating opportunities for small enterprise development; reduces waste removal costs and empowers communities of residents to take the lead as recycling champions across the United Kingdom by managing waste before it reaches curb side. Developed and trialled over a period of 4 years, the founder of ARA-UK, worked for 4 years as a volunteer to put the project to the test to ensure the outcomes based socially inclusive engagement model was practically implementable and could be duplicated to multiple occupancy housing schemes. Trialling a further 10 flat sites across East – and West Sussex with significant results followed, before the project was awarded funding to expand further to conduct trials for the National Department for the Environment, Food and Rural Affairs (Defra on their Recognition and Rewards trials. The project has now run for a period of 2 and a half years and has built a network of participating stakeholders which includes local communities living in developments managed by Housing Associations, (Housing21 and AmicusHorizon), who have taken part in over 55 engagement workshops, knowledge transfer, mentoring and site events. This engagement has been run by the project team in 8 counties and 2 cities in the South -and South West of England, involving over 2300 flats. Based on providing local solutions to local problems, the project is geared to provide community based approaches to increase the quantity and quality of dry recyclables, introducing creative waste minimisation and recycling initiatives on site before the waste is disposed of at curb side. 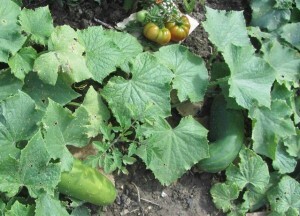 Drawing on -and transferring extensive experience -and knowledge on composting, ARA-UK has empowered the residents to deposit vast amounts of food waste into Green Johanna composters which have been installed on site, turning it into free compost used to grow food and flowers. The composter, which was tested and trialled over a period of 7 years by Anthea, running various tests and trials by ARA, has worldwide patent rights, and has withstood all types of weather conditions. It is also designed to be inaccessible to vermin and domestic animals. Other initiatives embarked upon include recycling of batteries, textiles and waste electronic and electrical equipment in the community. The project has also been trialled in 10 Townships in South Africa , where the health and environmental impacts of food waste adversely affects many vulnerable people, with remarkable results. The legacy of the project is that the local community runs it themselves once the engagement programmes, bespoke to each community, has been introduced. Extensive monitoring to measure results takes place to provide robust data on the waste behaviour change. Today ‘Waste is Mine – it’s Yours’ is viewed as ground breaking with the potential to be duplicated across the United Kingdom and has already managed to secure the Gatwick Diamond Green Champion award; Finalist in the National Housing Federation -and Sustainable Housing awards . 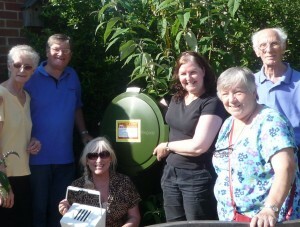 and is currently a finalist in the Clean Britain Awards. Social engagement practitioner Anthea Rossouw of ARA-UK who works in close co-operation with The University of Brighton, Great Green Systems, the Housing Associations of (Housing and Care 21 and Amicus Horizon), residents and court managers, local authorities and Defra research monitors as project partners. The project is also considered a best practice case study by WRAP, UK. Mark Allum, Policy and Term Contracts Manager at Housing and Care21 commented recently: “This partnership facilitates lifestyle change for the residents, which is what this is all about”. 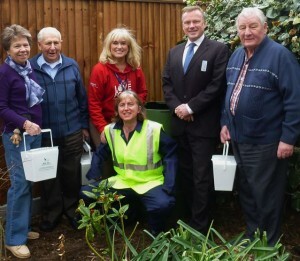 At a recent assessment event in St Leonard-on-Sea, East Sussex, where residents were growing their own food and flowers, using compost they made themselves, the locally empowered Green Champ, Denise Brown living in an AmicusHorizon managed development said: “This project has changed our lives. Our place is so beautiful, clean and pristine, with flowers everywhere and food for our kitchens. Now if that isn’t a blooming good idea, i don’t know what is”. As an endorsement of the value of this project and the effort put in by the residents, DEFRA awarded a further grant to expand the project to Wiltshire, Berkshire, Somerset, Kent and more properties in Sussex, across the South East -and West of England. The project has also been identified as best practice case study by WRAP in the United Kingdom and is accessible via their website. For further information please contact Anthea Rossouw or read more about what we are up to in our September 2014 newsletter.